Liverpool’s new centre-back Joel Matip has appeared in consecutive friendlies and is quietly making a seamless transition into the club from Schalke, where he stayed for seven years. This is probably because his signing was confirmed back in February and we acquired him on a free transfer due to the Bosman ruling, but in terms of top level experience – he’s our highest pedigree signing so far. 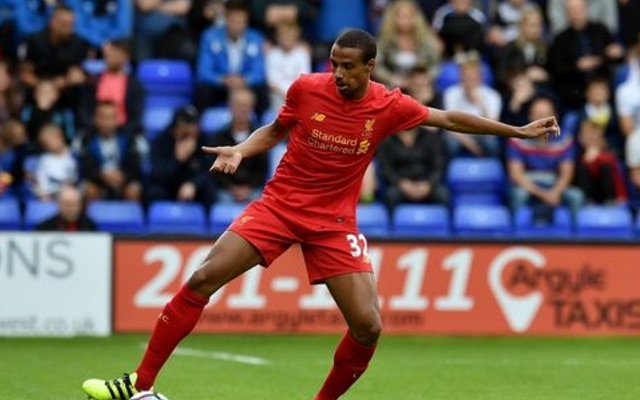 “I’m settling in really good,” Matip told the Echo. “That’s why I came here – I want to play against the best to become better,” he continued. “That was my thinking and my choice and I’m really looking forward to it. “There’s pressure but I want that – it’s the reason why I came here. I think I am good enough and I’ll show this. “Leadership is something I will have to grow into but I am also sure I have the ability for that position and from the way I approach the game. “My plus points? I am very good under high balls, especially at corners and set-pieces. We expect the 24-year-old to start the season alongside Dejan Lovren, providing both stay fit before 2016/17 begins. Martin Skrtel and Kolo Toure have left, while Mamadou Sakho and Joe Gomez have suffered injuries which will keep them out of action in August. Tiago Ilori will be away with Portugal at the Olympics, meaning as things stand, Andre Wisdom will be the third choice centre-back, although the Echo is convinced we’ll now sign another. Matip’s height and aerial ability hopefully mean our defence will be shored up at corners and set-pieces, a frailty which cost us dearly last term. If Lovren can continual his steady improvement and Matip can hit the ground running, we may well have a pretty effective central defensive pairing from which to build.